Theo Fabergé's creation in tribute to his grandfather Carl Fabergé who was one of the first to interpret oriental influence within jewellery design. 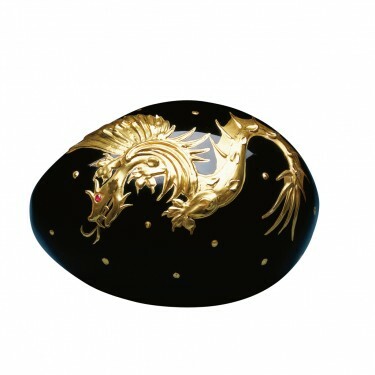 Thus the Egg is made from jet black crystal and hand painted with raised 23 carat gold. 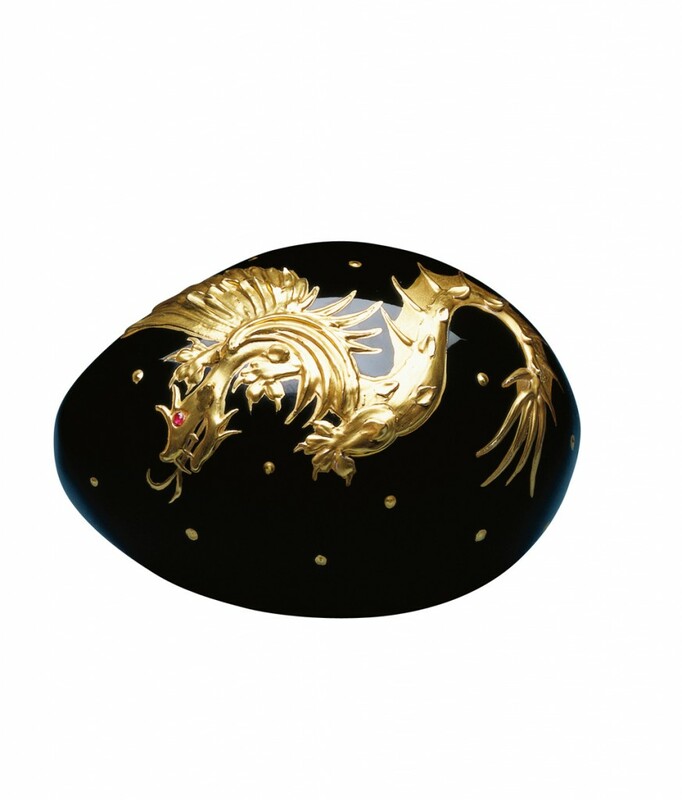 A design inspired by the delicate work of ancient oriental craftsmen. Finally, the fiery eye of the dragon is a glittering faceted ruby. Materials: Black crystal, 23 carat gold and faceted ruby.